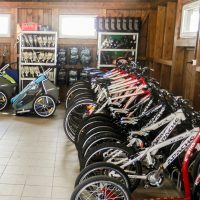 The amazing location on the Lipno lake, surrounded by nature offers many possibilities including sports, such as cycling, roller skating, hiking and water sports. You can also enjoy sports at our resort where you can play volleyball, ping pong, badminton, football and much more. Our experienced staff is ready to help and advise you. All equipment is serviced and in perfect condition. The rental facility has a recharging station for electric bikes, air compressor and small repairs and gluing. Subscribe to our newsletter and you will receive information on all events and exclusive offers of our Relax Resort in time. With pleasure, we handle your inquiries and reservations 24 hours a day. Please do not hesitate to contact us.